Detective Michael Bennett and his family are about to be haunted...by a father's worst nightmare--the signs he should have seen and a son's desperate cry for help. Reeling from a crisis that would destroy lesser families, the Bennetts escape New York for a much-needed vacation. An idyllic country town in the Maine woods is haunted...by an epidemic emptying its streets and preying on its youth. Turns out the vacation brochures don't tell the full story-the seemingly perfect community has a deadly vice. 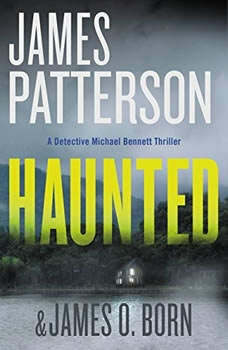 When local cops uncover a grisly crime scene buried deep in the woods, they consult the vacationing Bennett, who jumps at the chance to atone for his own sins. You can take Michael Bennett out of New York City, but you can't take the cop out of Michael Bennett. But far from the city streets he knows so well, no one will talk to the big-city detective, and the bodies keep piling up.A young, hardscrabble, and forgotten girl is haunted...by a traumatic history. Homeless and destitute, she represents the closest thing Bennett has to a partner in his frantic hunt for the ghostlike perpetrator behind the violence. Will Bennett and his unlikely ally unmask the culprit before anyone else winds up haunted? Three murders in just as many weeks in the quiet rural town of Bluestream is unheard of. IIt's also no coincidence. And it's not over: Detective Virgil Flowers is about to be pulled into the middle of a killer's violent personal vendetta.